Last seen on Willivee Place around May 10. Medium-large, eight years old, male. Very friendly. Distinctive mole visible through the fur in front of his right ear. Also has a little white tie on. He does not have a collar or tags on. 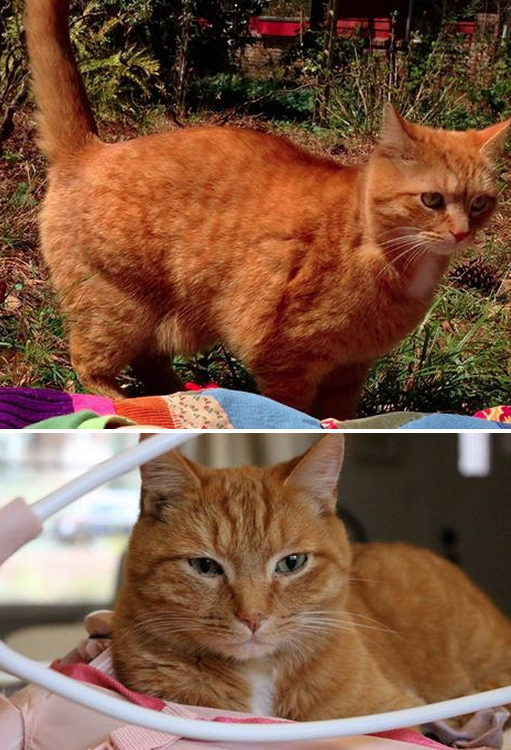 If you've seen a cat matching this description, or seen any new orange cats around at all in the past two weeks, please call or text 678-488-3182.